Struggling with evolving psychic abilities, seventeen-year-old Anna Morgan and her equally exceptional friends are on the run from the ruthless Graham Cregg, leader of a covert operation known as the Delphi Project. Cregg has already killed repeatedly to test Anna's ability. 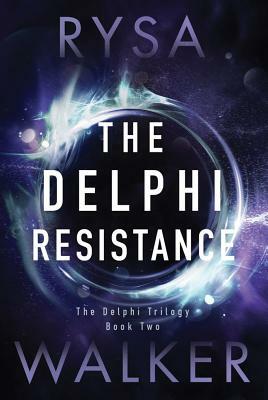 Now, he and his father, a presidential contender, will stop at nothing to recapture the Delphi adepts, whom they see as weapons to be controlled--or destroyed. Navigating an increasingly hostile landscape, Anna and her friends form a resistance to rescue those still in the Creggs' fatal grip. As more gifted kids vanish and public awareness of the Delphi Project grows, so does the opinion that getting rid of the adepts may be a necessary evil. Yet even as they face off against cold-blooded killers, government operatives, and a public intensely afraid of their psychic powers, the greatest threat to Anna and the resistance may come from within themselves--and their own mysterious abilities could spell their ultimate downfall.